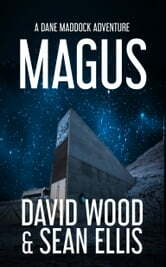 The exciting conclusion to the Elementals Trilogy! It continued with ARCANUM, with Dane and Bones joining forces with Jade Ihara and Nick Kismet to find more of the Elementals--four powerful artifacts, older than civilization itself. 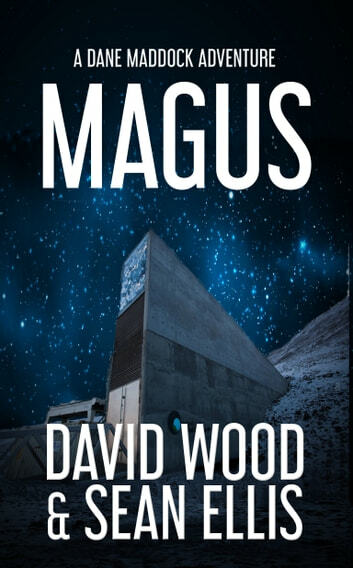 Now, in MAGUS, the heroic team--accompanied by Maddock's old friends Professor and Jimmy Letson, will search the last Elemental relic--the Emerald Tablet, hidden away in the tomb of history's most legendary conqueror. But they aren't the only ones looking for it. Agents of Prometheus, a mysterious secret society, are also searching for the relics, intent on using their awesome power to rule the world.